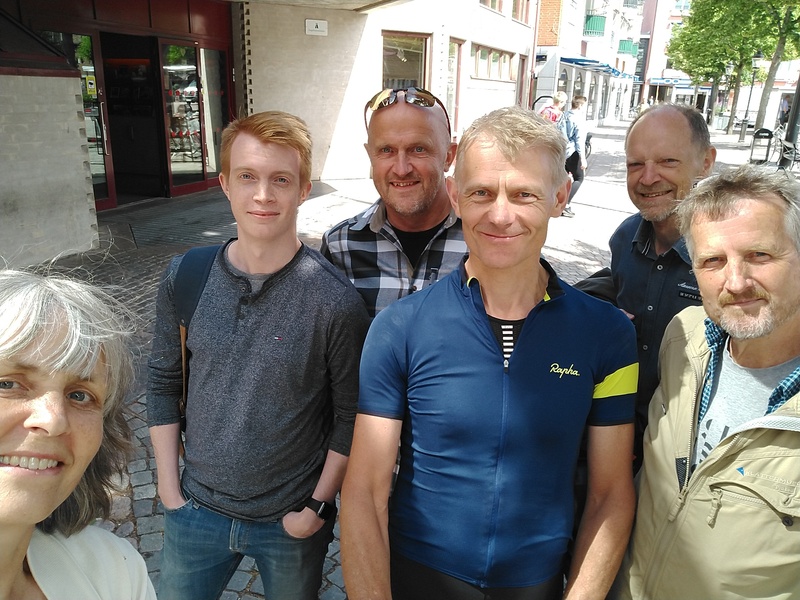 Over the past two weeks, Uppsala university’s Zennström professor Kevin Anderson has cycled between a number of cities and regions in Sweden to meet with citizens, municipalities, county boards and companies to discuss opportunities and challenges in the face of a changing climate. This two-wheeled journey ran under the banner of “The Swedish Carbon Cycle” and had the goal of raising awareness and catalyse discussions about local action on climate change. As you can see in this video, public events and meetings with local authorities where organized in the cities and towns of Uppsala, Lund, Malmö, Ängelholm, Halmstad, Göteborg, Gävle, Märsta, Stockholm and with a final seminar in Visby at the start of the Almedalen week. The cycle tour is part of a larger commissioned research project where all Swedish municipalities, counties and regions have been invited to have their carbon budget calculated to scientifically ground and align their climate and energy strategies with the temperature commitments in the Paris Agreement. A key message to emerge from discussions with municipalities and counties, strongly echoed by those attending civil society events, was that given the necessary powers deep reductions in carbon emissions could be achieved, even in the near-term. The real obstacle to delivering such rapid decarbonisation was that the municipalities and counties had too few powers to enact regional transformations in energy demand and supply. The National Parliament (Riksdagen), rather than facilitating local action, was seen to thwart opportunities through their weak legislative programmes. Nowhere was this more evident than in Sweden’s house building boom – with the skyline of so many Swedish cities silhouetted with cranes and with new apartment blocks rising above the traditional city landscape. Yet, these new homes are being built for the twentieth century and consequently are inappropriate for meeting the energy and climate challenges of the twenty-first century. Whilst many municipalities and counties wish to impose strict efficiency standards on all new developments, including passive-house standards, the power to do this had been reclaimed by the national parliament. Of course the parliament could have established stringent minimum standards to which all new developments must comply. Instead it chose to set maximum levels, undermining any opportunity for the municipalities and counties to require developers to construct new homes commensurate with Sweden’s Paris commitments. This preference of the parliament for the lowest common denominator as a prerequisite for their fixation on ever-more economic growth contrasts with the more societal focus of the municipalities, counties and civil society groups. It is this race to the bottom aligned with the rhetoric and empty promises of the parliament in relation to climate change that has failed to deliver any reduction in Sweden’s emissions since 1990 (once emissions from aviation, shipping, imports and exports are considered). So whilst there is a palpable drive and passion for real mitigation at the local and regional level, the parliament presides over airport expansion in Arlanda and Sälen, the development of a high-carbon gas (LNG) terminal in Gothenburg and a new super-highway (Förbifart) in Stockholm. This is not the decarbonisation recipe expected of a progressive nation – but rather a programme of high-carbon lock-in signalling climate denial rather than concern for its current and future citizens. Would the situation be improved if municipalities and active civil society groups held the powers currently misused by parliament? 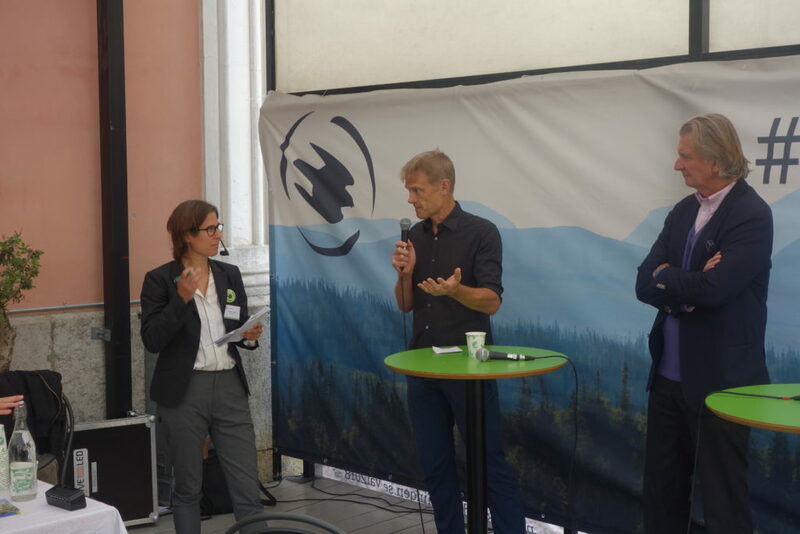 After this first day of the Almedalen week, this disjuncture between local and national ambitions and willingness to act on climate change was further confirmed in the various engagements we had with a number of the parliamentary parties’ spokespersons on climate change. In Almedalen over the next few days, Isak and Kevin are contributing to a number of events focused on issues of climate change mitigation and energy transitions, hosted by organisations such as Naturskyddsföreningen, Klimatriksdagen, Vätgas Sverige och Länsstyrelsen Stockholm, among others. The first of these events, on Monday morning, was a conversation about climate change leadership in Sweden between Kevin, Anders Wijkman and Johanna Sandahl. 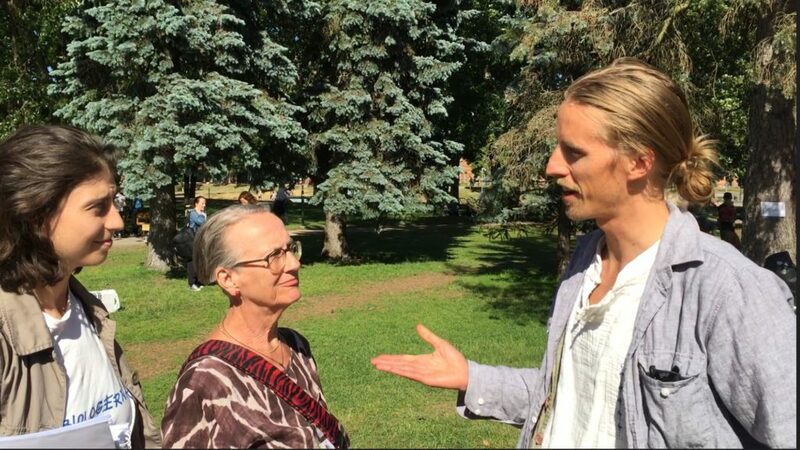 For more reflections from Kevin and citizens around Sweden on local climate policy and action, visit the Swedish Carbon Cycle Video Archive. Centre for Environment and Development Studies and the Climate Change Leadership Research Node, Uppsala University.